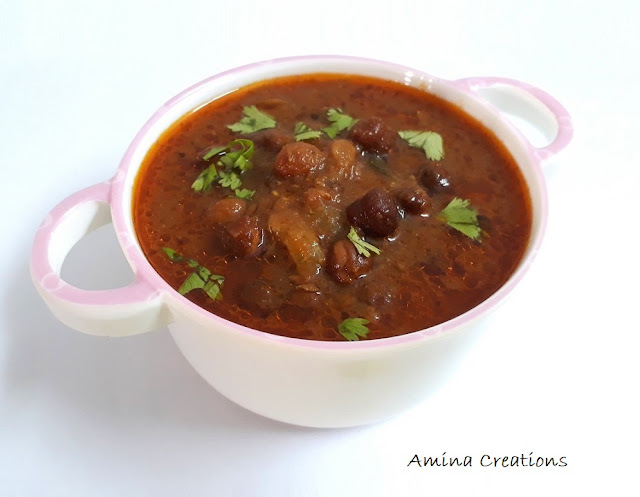 Black chickpeas or kala chana are protein rich and are very good for our body. We use chickpeas often at home and I have shared several recipes using white chickpeas like chana sundal, chana poori chaat, chole masala, chickpea/ chana rice, etc. in this blog. And today’s recipe is of a Punjabi style curry made with black chickpeas. This delicious and flavourful curry goes well with both white rice and chapathi. Wash the chickpeas with water a couple of times and then soak it in drinking water for at least 8 hours. Close a lid and set aside. You can soak the chickpeas at night and make the curry next morning. Now take the chickpeas along with the water used for soaking in a pressure cooker, add ½ tsp salt (or to taste). Add some more water if required and pressure cook for 8 to 10 whistles. Switch off the gas and allow the steam to come out. Open the lid of the cooker and strain the chickpeas through a strainer. Keep the chickpeas ready. Now heat oil the same cooker, add cumin seeds and allow them to sputter. Then add onions and saute till the onions turn golden in colour. Then add salt, red chilli powder and tomato puree and cook for a few minutes in medium flame, till oil starts separating. Now add garam masala, coriander leaves and the cooked chickpeas. Mix well and then finally add some more water. Close the lid of the pressure cooker and pressure cook for 2 whistles. 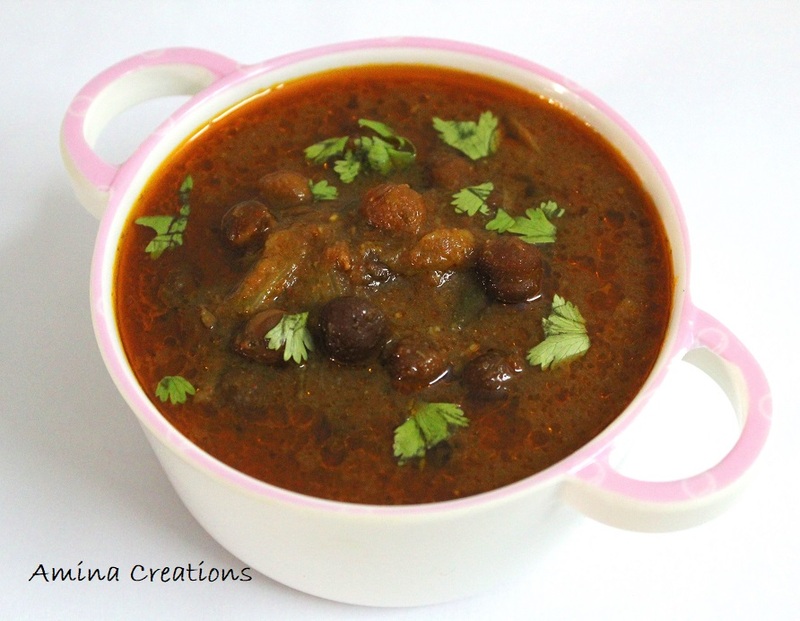 Serve the Punjabi black chickpea curry with white rice or chapathi. Sending this as an entry to My Legume Love Affair # 117, guest hosted by Amrita, originally conceptualized by Susan and currently hosted by Lisa.